← How to convert HTML to tif? How to read HTML without browsers? Maybe you have your own way, but here I would like to share my ways with you. When need to read HTML files without browsers I will convert them to image files, like HTML to jpg，then I can read HTML files in the form of images. 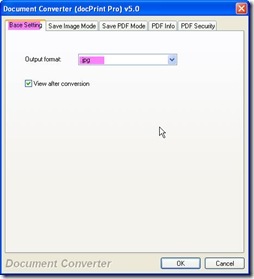 By this way, you can also insert HTML files to other file document like, word, Excel or PPT. In the following part, I will show you the detail steps for the conversion from HTML to jpg. Take a random HTML file for example. Before do the conversion, I need an assistant whose name is Document Converter that can convert all the printable files to image files or PDF files.If you are interested in it, you can also down one copy of them to have a free trail. 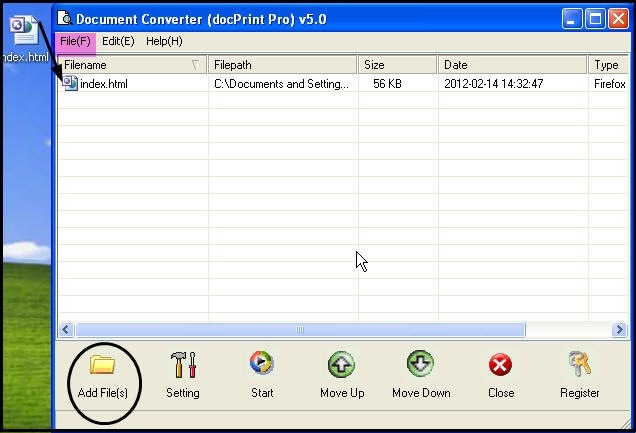 Here is the link for you.http://www.verypdf.com/artprint/docprint_pro_setup.exe But if you want to use this application without any limitations, you have to pay it here. Once you install it successfully, there will be an icon on the desktop. Double click its icon to enter its interface. If you need to know more about it, you can visit its homepage through this link.http://www.verypdf.com/artprint/index.html. As to detail steps, please refer to the following steps. Add this file to converter. As I put this file on the desktop, I will add it by simply dragging as I did in the following picture. If you need to pick up files here and there, I guess, you have to click the button "Add File" which I have marked in the following picture by a circle. Please see more adding files way by pressing the option "File" on the top. 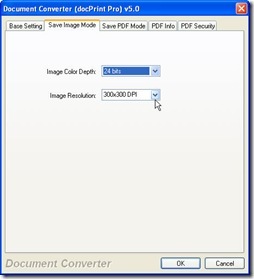 In this step, you need to set the output file format as jpg for our am is converting HTML to jpg. And if you need to adjust the image resolution and color depth, you can also finish them in this step. Click the button "Setting" to open the main menu option where you can find two sub menu labels that are "Base Setting" and "Save image mode". In the first one, it is not hard to find a dropdown list for you to set the output file format as jpg. 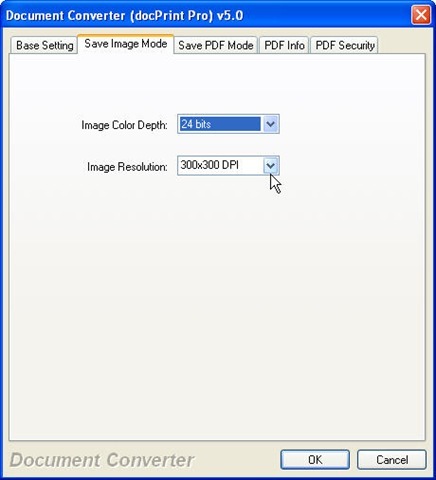 In the "Save image mode", you can make your desired image resolution and color depth. Run the conversion from HTML to jpg. Click the button"Start"then the conversion from HTML to jpg will be started. Once you click the button"Start", you will be reminded to choose a folder to save the converted files. Please wait three seconds then you can get the jpg file. Then output folder will tell you the conversion from HTML to jpg is successful. This is the end of the conversion HTML to jpg. Thanks for your reading in advance. This entry was posted in docPrint Pro and tagged html to jpg. Bookmark the permalink.